Tis the season to get rowdy. Let me hear you yell FOOOOTTYY! Soon the streets of Richmond will be taken over by colourful paraphernalia and colours of our favourite teams. Some of you are rejoicing, some of you are groaning in despair, some probably don’t even really care, but, since we are Melburnians, regardless of whether you love it or loathe it’s time to get around it. The Corner Hotel is the hub for footy season. 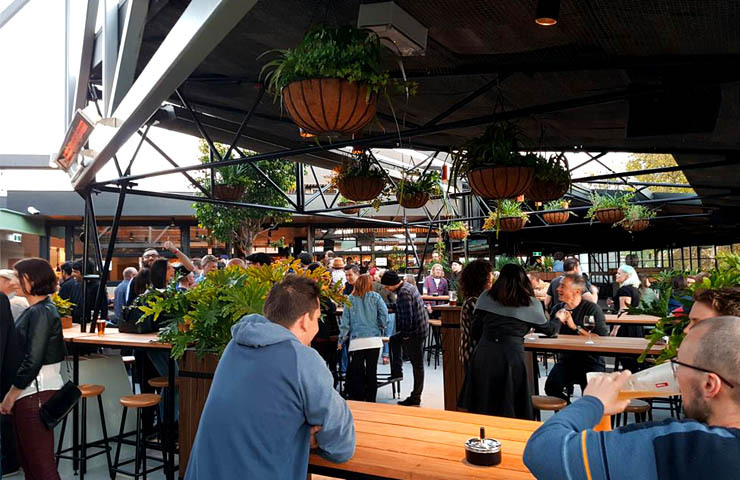 The large open rooftop area, which has just been freshly refurbished, is a great place for you and your mates to hang out and get amped up for the game. 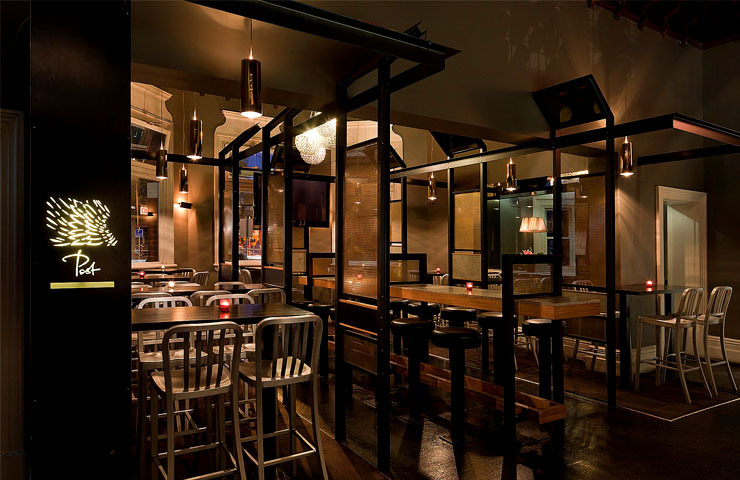 The venue offers a great selection of food and drinks and is just a stone’s throw from Richmond station and the MCG. 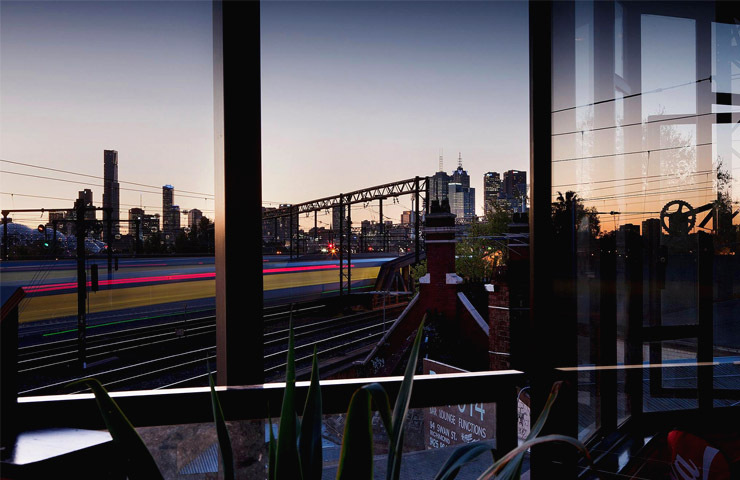 Grab some nibbles and drinks and soak up the vibes of this Melbourne institution. 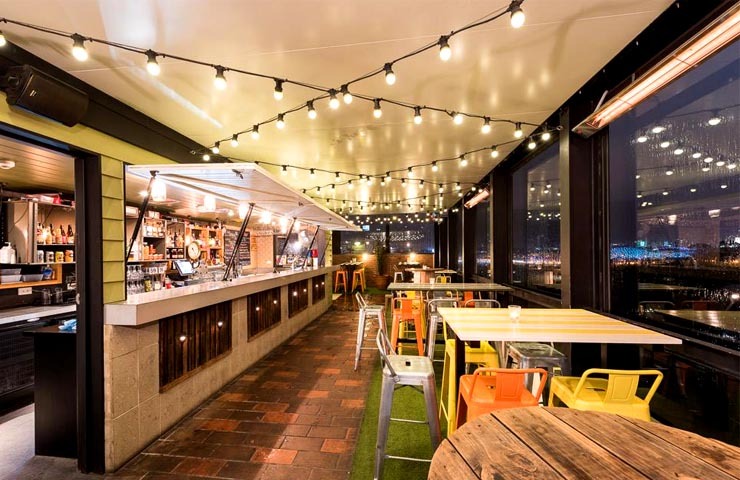 Do not fear, in those winter months the rooftop area has some heaters to keep all the warmth in! The very heart of Richmond is The Richmond Club Hotel, and you can definitely feel it in the atmosphere. Not only is The Richmond Club a place for footy lovers, the sleek interior offers beautiful views from the rooftop, and boasting both indoor and outdoor areas makes it a place for everyone. The three level venue houses everything you need including TVs if you’re not making it down to the match, a dining area, beer garden and a rooftop! Head down for some classic pub grub before the match and have a drink or two from the extensive drinks menu. Don’t forget the insta photo! The Posty, as the name suggests, is a converted post office and an iconic building in the Richmond area. 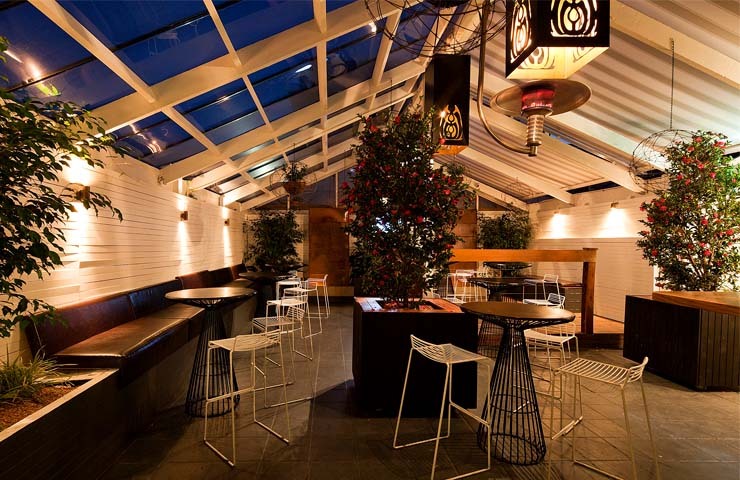 This is an intimate venue located less than 1km from the MCG and has a gorgeous dining area, a bar and a beer garden. The Posty is a great place to find a selection of grazing plates to share with friends, and offer amazing woodfire pizzas which rival some of the best in this neck of the woods. 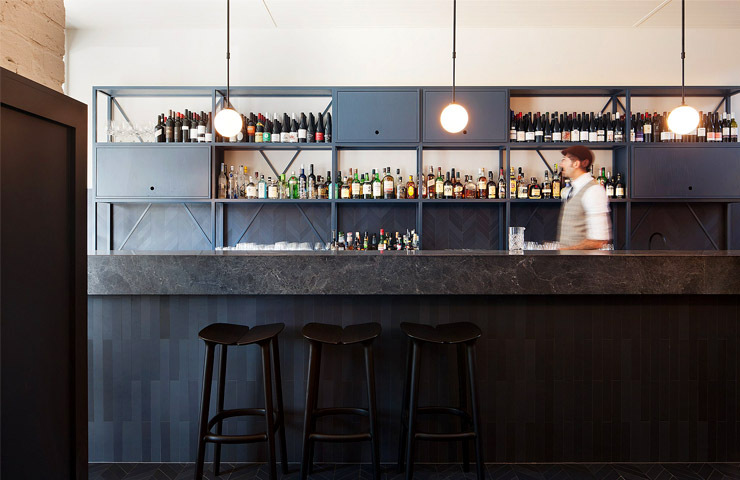 Head down before the game and take a seat at the white marble bar inside – I guarantee you’ll feel a little posh, even in your footy gear. For those die hard footy fans on those cold winter nights, there are heaters outside in the beer garden. 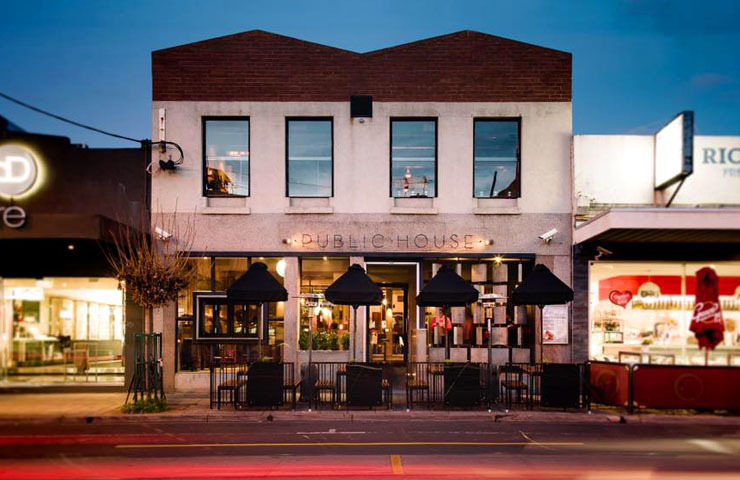 Located on the corner of Swan and Church street in Richmond, Public House is one of Richmond’s best pubs, although, it doesn’t look very pub-like… but don’t let the modern facade fool you. This classic Richmond establishment is known for its steak nights, burger nights and pumping dance floor on weekends. There is a selection of cocktails and share platters which make it the perfect spot for pre footy festivities. Head upstairs to the rooftop bar, which offers good vibes and great times for one and for all. Located right next to East Richmond station, Maeve Fox is a quiet place to host pre game catch ups. 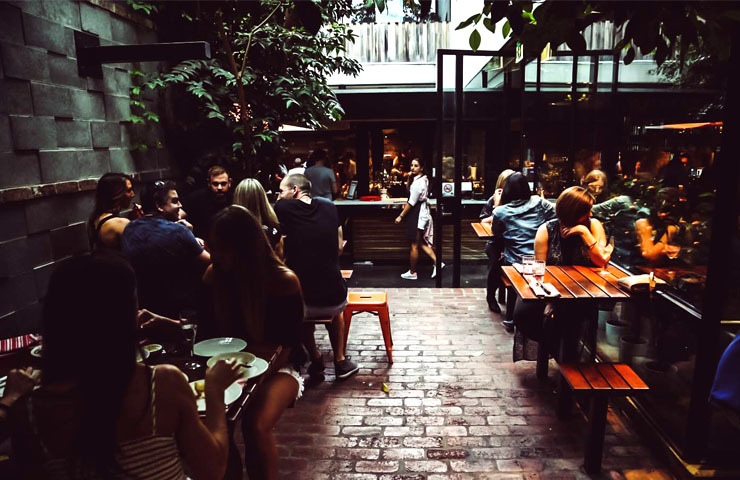 There are plenty of seating areas inside, with black leather booths making it a perfect space to catch up with friends, and there is an outdoor balcony if that’s more to your fancy which offers unrivalled views of Melbourne cityscape. On Friday nights there are happy hour specials on not only drinks, but food! Grab some dumplings or nachos for $5, or Polenta Dusted Calamari for $9. Maeve Fox is known for their killer cocktails, and offer a great range of local and international wines and beers. Fun tip, there are half priced drinks every Sunday! Definitely a winner right here. This classic institution has all the warm vibes of a classic pub which we all know and love, with a food and drink selection to match. ‘A Bar Above’ is their new and exciting cocktail rooftop bar, which has a stunning 360 degree view of the Melbourne Skyline. The layout is perfect for groups, with communal tables that soak up the sunshine, and it’s definitely up there with one of the top rooftop bars in Melbourne! This ‘bar-come-bistro’ has everything you could need in an establishment. The Royal Saxon has an upstairs bar and balcony, courtyard and restaurant and is the perfect location for food, drinks and chills. The interior is modern and sleek, but the atmosphere remains relaxed. The Royal Saxon has a large menu of Italian-style dishes, for you hungry fans out there looking to get a good meal in before the game. 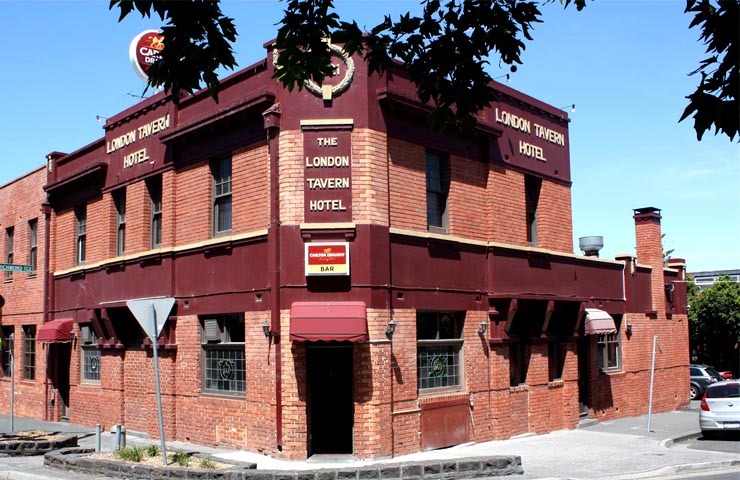 Come and enjoy a beer or wine and chillax before walking down to the G.
The worn, red brick building of The London Tavern houses one of the best (and biggest) beer gardens that Melbourne has to offer. No wonder it’s a crowd favourite for pre footy shenanigans, this place is an institution! Get stuck into the many beers on tap, as well as steaks, burgers and parmas. It’s the perfect start for an afternoon of footy. The location is perfect, not far from Richmond station, so no wonder The London Tavern is one of the locals favourite pubs. Get in there! Located on the busy Swan st in Richmond, Holliava is a great stop before the game. The beer garden out the back is a perfect place to hang out with some mates before the match. Maybe you’re looking for a happy hour special, on Friday’s Happy Hour is between 4-6pm with $4 pots, $7 pints and $5 vodkas and wines! Holliava is BYO food, so order a pizza from across the road and have it delivered right to your table! Easy Peasy. There is also an offer of cool games to pass the time, and get the heart rate pumping ready for the big game. Ask the bar staff for anything from UNO, to Connect 4, to Cards Against Humanity! If you’re anything like me, and not a huge fan of the footy, then this special mention is for you. If you begrudgingly agreed to accompany your mates to the match, it’s only fair you get to pick the pre drinking spot, right? Ugly Duckling is located on Swan St and you will definitely feel a little more classy before the rowdiness begins. 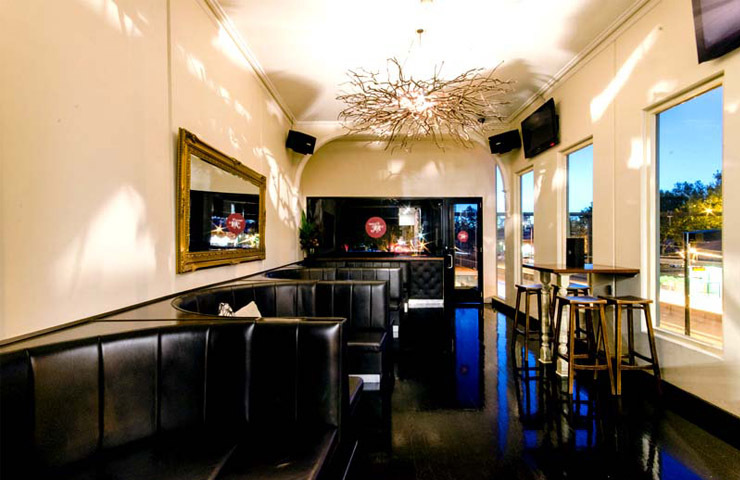 This intimate and stylish venue has a great selection of cocktails and wines to ease the pain of having to endure an evening of footy. Warm your soul with a glass of mulled wine and some nibblies from the bar, and I guarantee you’ll be ready to cheer on the boys.